Austin (@austin_s_allen) is a marine mammal ecophysiologist, pursuing a PhD in Marine Science and Conservation at Duke University. He works with trained dolphins in accredited public display facilities to combine animal borne data-loggers with measurements of energetic costs. After validation in a controlled setting, he will then investigate the consequences of sub-lethal human impacts (i.e. acoustic disturbance) on wild marine mammals. He’s passionate about science communication and science literacy; he loves the opportunity to further SciREN’s impact. 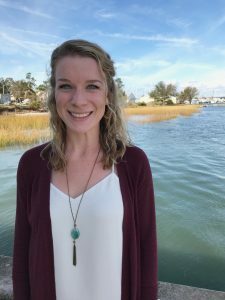 Molly (@MollyBost) is currently a PhD student in Dr. Antonio Rodriguez’s lab based at the UNC Institute of Marine Sciences in Morehead City. 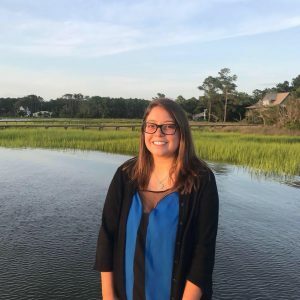 She is currently working on a project investigating how land-use change over the past 150 years may have affected the sedimentation regime in North Carolina’s tidal creeks. 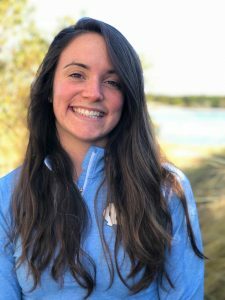 Molly graduated from UNC-Chapel Hill in 2013 with a BS in Environmental Science and in 2016 with a MS in Marine Sciences. Her master’s work, with Dr. Brent McKee, focused on sedimentation and Carbon burial rates in the New River Estuary using radiometric dating. Rachel is a master’s student with both the Froelich and Noble labs at UNC’s Institute of Marine Sciences. Her research is based on monitoring the difference in abundance of the bacterial human pathogens, Vibrio vulnificus and Vibrio parahaemolyticus, in wild versus farmed oysters in Eastern North Carolina (assuming there is a difference!). This research is intended to help aquaculture farmers to adjust some of their growing and/or harvesting practices, if necessary. 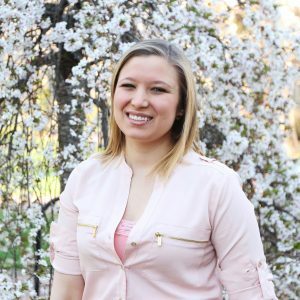 This is Rachel’s third year with SciREN and she feels fortunate to have built such strong relationships with other coordinators and local teachers and to have discovered a love for teaching through the nonprofit. Sarah is a graduate student in the Gittman lab at the Institute of Marine Sciences. Her research focuses on evaluating the effectiveness of restoration in seagrass habitats that have been degraded or lost due to anthropogenic disturbance. She graduated from Clemson University with a B.S. in environmental engineering in 2017. 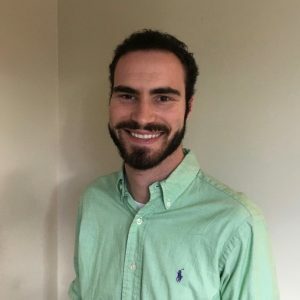 Carson (@ceebeee11) is currently a Master’s student in Dr. Antonio Rodriguez’s lab based at the UNC Institute of Marine Sciences in Morehead City. She is currently working on a project investigating how physical factors, like storms and SLR, and morphology influence marsh upland migration. 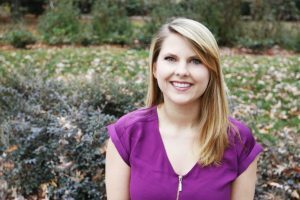 Carson graduated from UNC-Chapel Hill in 2016 with a BA in Geological Sciences. Owen is a Master’s student in the Fodrie Lab at the Institute of Marine Sciences. He studies habitat use of fishes on oyster reefs and relationships between oyster reef restoration and recreational angling. He has also done research concerning how climate change is impacting highly migratory endangered fishes, particularly Atlantic salmon. 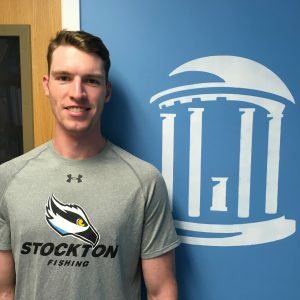 He graduated from Stockton University in 2017 with B.S degrees in Marine Biology and Environmental Science. Morgan recently received her Master of Environmental Management from Duke’s Nicholas School of the Environment. 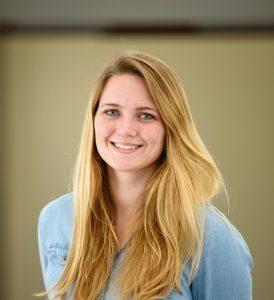 She has extended her stay in coastal North Carolina, and at the Duke Marine Lab, by taking on a role as a research technician in the Silliman Lab. 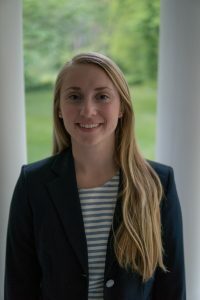 Her primary interests lie broadly in coastal ecology and the intersection between human populations and the surrounding environment, but she is specifically interested in coastal water quality and habitat restoration. 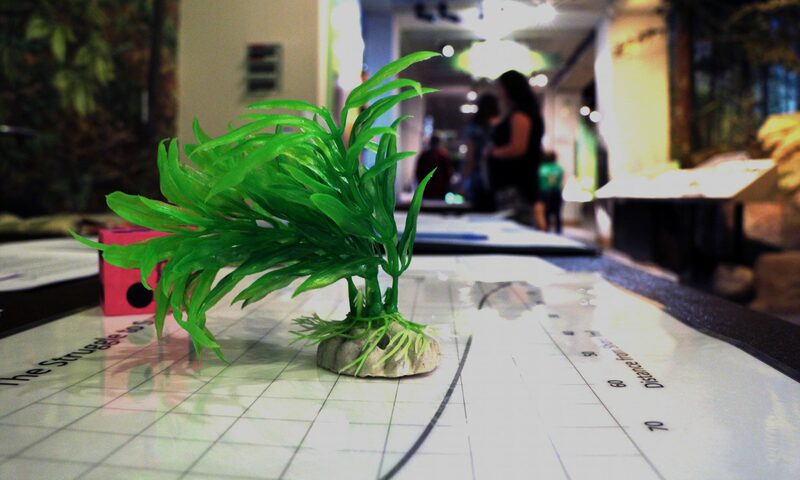 She is excited to incorporate coastal research into local k-12 education with SciREN. Jeanne is a PhD student at the Duke Marine Lab working with Dr. Andy Read. She studies marine mammal foraging ecology and conservation. Her PhD work involves using digital movement and acoustic tags to study the foraging ecology and effects of shipping noise on humpback whales, using this information to help prevent ship strikes. Prior to Duke she finished a Masters in Marine Mammal Science in Scotland, studying pilot whale foraging behavior. She has previously done outreach with the Dundee Science Center and DUML Community Science Program and looks forward to continuing outreach in the local community with SciREN. 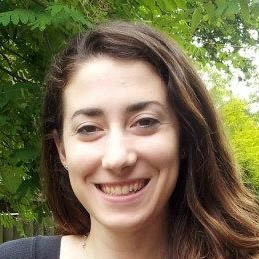 Mollie Yacano (@MollieYacano) is a PhD student in the Piehler Lab based out of UNC’s Institute of Marine Sciences in Morehead City, NC. 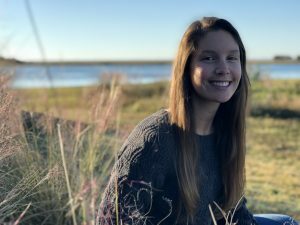 She is currently working on a project that looking at the biogeochemical cycling of nitrogen in salt marshes throughout North Carolina, primarily focusing on characterizing how invasive Phragmites australis performs in comparison to its native counterparts. She graduated from Boston University in 2017 with her Bachelors in Marine Science and a minor in archaeology. Amy is a Ph.D. student in the Fodrie lab at the Institute of Marine Sciences. She studies the effects of seagrass habitat degradation on the juvenile fishes and invertebrates that use seagrass as a nursery environment. She graduated from Penn State University with a B.S. in biology and minor in marine science in 2015.